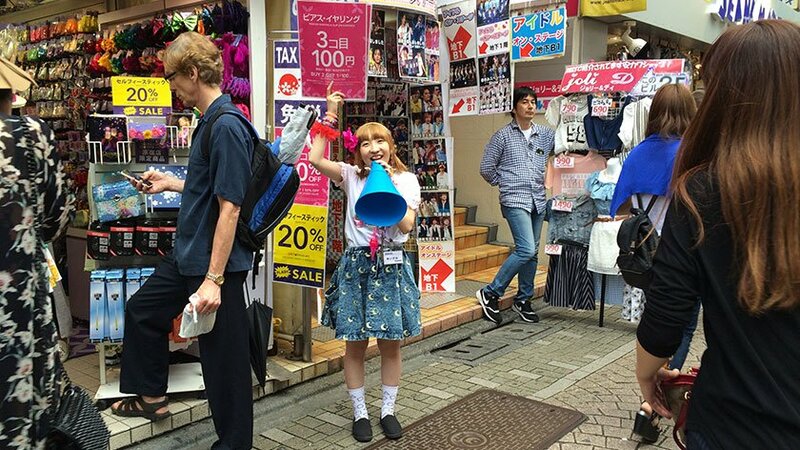 Sandwiched between Shinjuku and Shibuya, Harajuku is a great place to see youth culture up close. 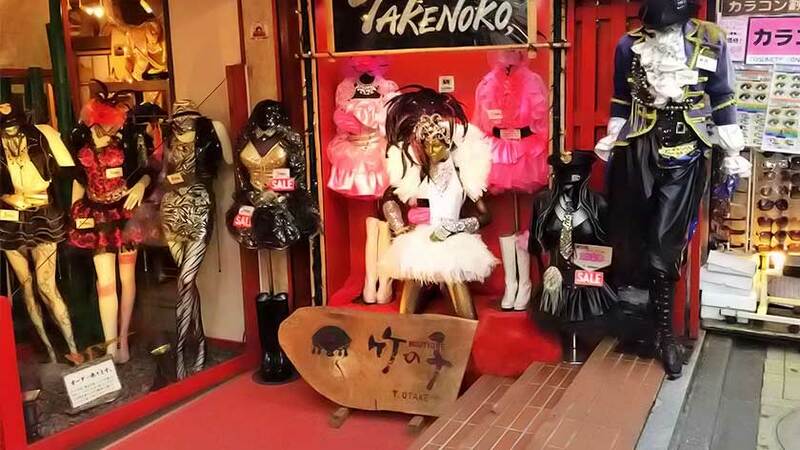 Named after the area around Harakuju Station, and brought to many people’s attention by Gwen Stafani’s Harajuku Girls backup dancers, Harajuku not only offers the latest in youth fashion, but is also close to Meiji Shrine, Yoyogi Park, and Omotesando. Unfortunately, it does have some accessibility challenges: crowds and crammed stores. Those in wheelchairs may be constantly carried along with the current of people! In the 1970s, the fashion center of Tokyo shifted from Shinjuku to Harajuku. 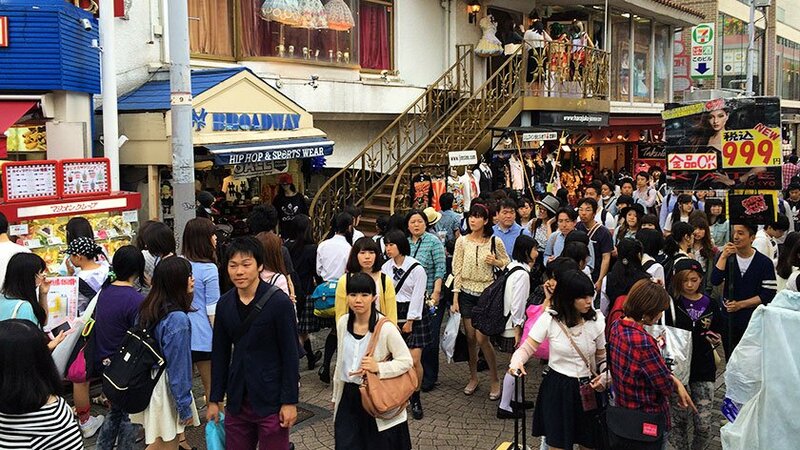 While it has now shifted to Shibuya, Harajuku is still vital to the fashionably adventurous. 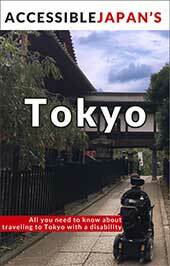 The main focal point of the area is Takeshita Dori, a short street leading from Takeshita exit of Harajuku Station. It is lined with small fashion shops that range from stores that specialize in socks, to ones that sell the latest gothic fashions. There are many crape shops and fast food chain stores targeting teenagers. The shops tend to be open daily from 11:00-20:00. 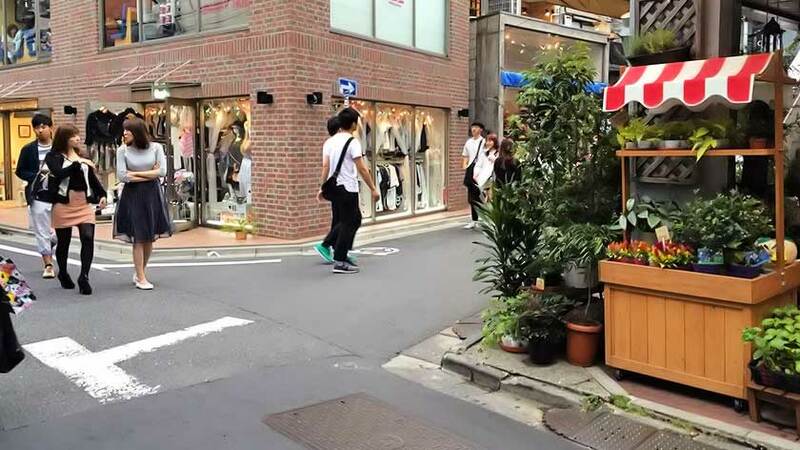 If you are not interested in the fashion items found on Takeshita Dori, Ura Hara (Ura Harajuku, “Harajuku Backstreets”) offers a bit more of a subdued atmosphere, and the nearby Omotesando area is referred to as the Champs-Elysees of Japan. You can also find big international brands like Gap, Zara and Forever 21 in the area as well. Clicking on the station name will show you a map of station layout, showing exits with elevators and the location of accessible toilets. It is hard to sum up an entire shopping district in terms of accessibility. Approximately more than half of the stores have a step to get in. Those that do offer a slope, are often very packed and hard to maneuver in a wheelchair. So, you may need to rely on someone to help you with any shopping. The big stores like The Gap are accessible. The other big issue is crowding. 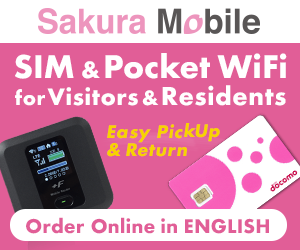 The streets are packed on the weekends, so it is better to visit on a weekday if crowding is an issue for you. (Though Sunday brings out the most interesting characters and live band performances in the nearby Yoyogi Park.) While people are not pushy, it can be easy to be carried away in the current, and very difficult to cross from one side of the street to the other. Ura Hara is much less crowded. Takeshita Dori starts near Harajuku Station with a fairly steep hill. 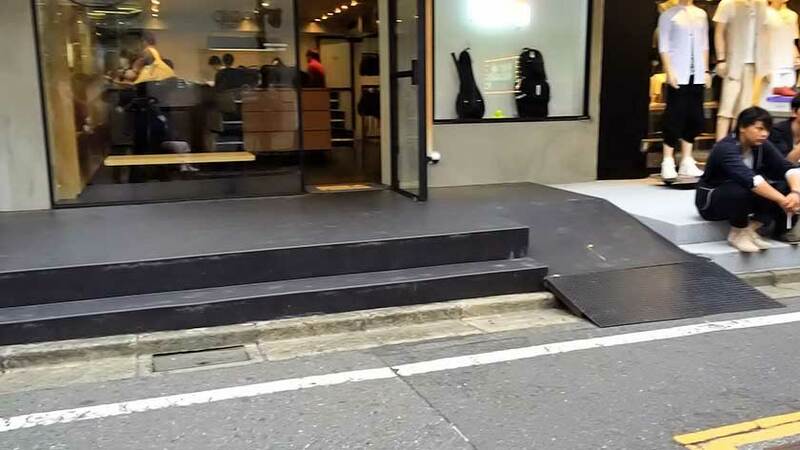 Wheelchair users may find it a bit too steep, but it is manageable. If it is too steep for your comfort level, you could start at the other end. 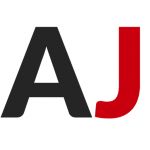 It is hard to pinpoint accessible toilets in the shopping area, but the surefire bet is to go to either Harajuku Station or Meiji Jingu Mae Station and ask to use the station toilet (both offer accessible washrooms). Alternatively, the Meiji Shrine has an accessible toilet as well, though it is a bit of a walk. 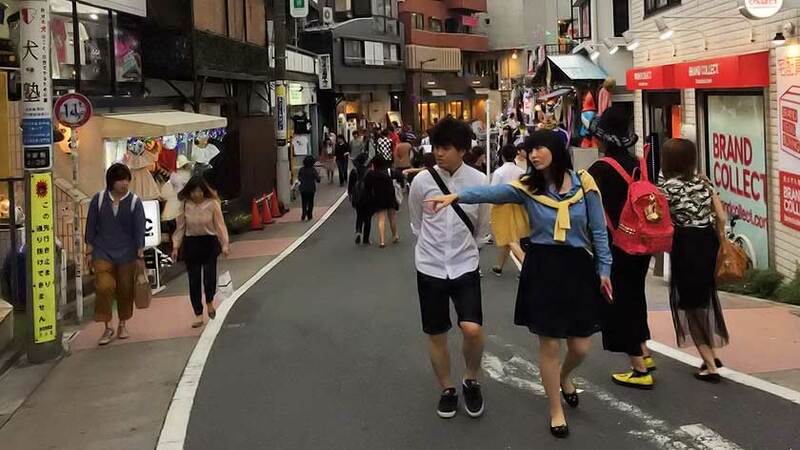 Anyone interested in modern Japan, and Japanese fashion, will want to visit Harajuku. You can see some colorful characters and experience youth culture. 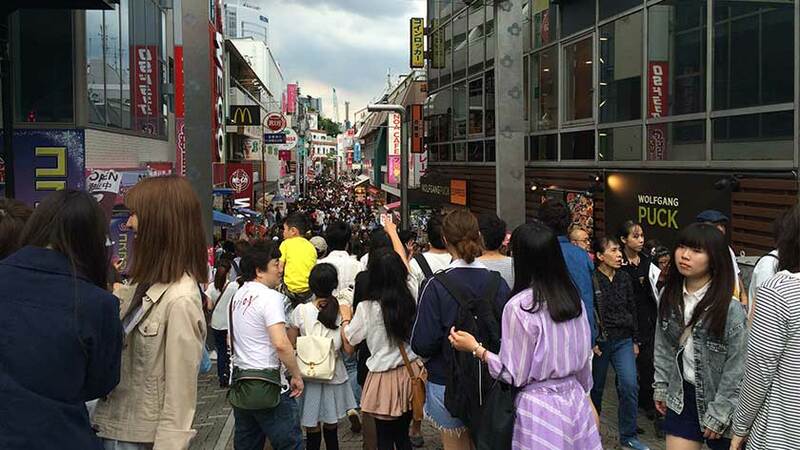 For those with disabilities, the crowds and steep hill on Takeshita Dori can pose a challenge. It is advisable to use the toilet in the train station instead of expecting to find one in a store. 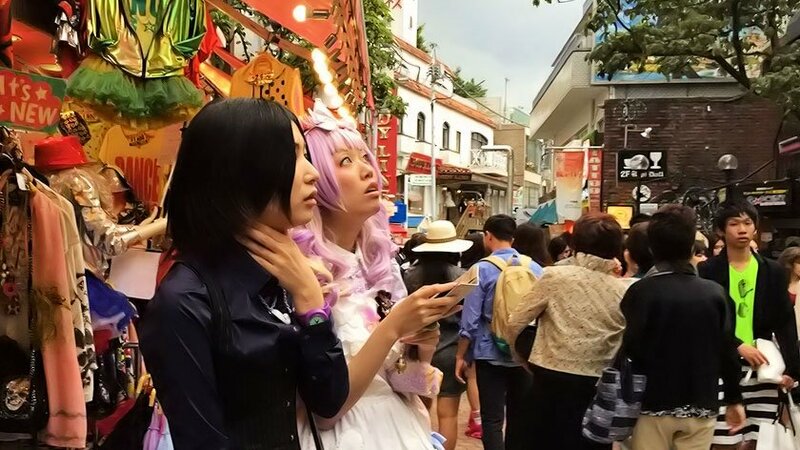 A trip to Harajuku’s youth epicenter nicely contrasts the ancient Japanese feel of the Meiji Shrine on the other side of Harajuku Station – check it out!